I know this all happened fast, but sometimes the best things do. I must say, the news of your addition to the Cardinals roster struck like lightening this morning… but then again, what news doesn’t in the age of new media? The reaction has been exceptionally positive for a fan base that loves its homegrown talent and isn’t afraid to voice an opinion or two. But, let me tell you something you probably already know: we love new Cardinals, too. Not always as immediately as the Nation has embraced you both, but we attach ourselves to “our” guys pretty fast. Especially when they come to us so full of promise. Jason, I’ll be honest — the right field situation is a touchy one at the moment. I’m sure you understand. 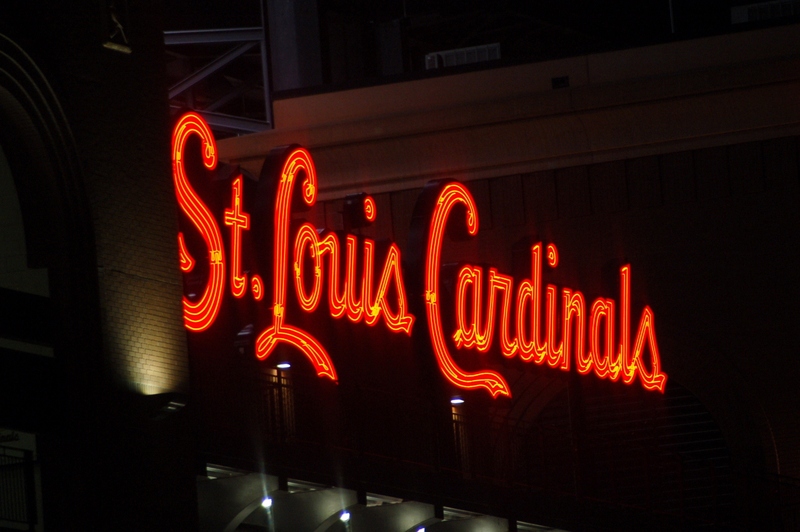 Our hearts are still quite heavy from the loss of Oscar Taveras and all the potential that went with him. It almost feels like it’s too soon to be so excited about filling in the hole in right, but here we are, dreaming about spring and what the outfield — not to mention the lineup — will look like with you in it. I like the looks of that daydream, I must say. Handle right field with care, will you? There are a lot of emotions attached to it for the moment. But, it’s yours now. I hope it quickly begins to feel like home. As for you, Jordan, the Cardinals have this thing about bullpen guys that throw blazing heat late in games. I have a feeling you’ll fit right in. And, you get to work with Yadier Molina. I know I’m a little biased, but he’s not too shabby on the catching front. So, enjoy that. Can I make one request? Don’t let anyone tell you it’s more fun to pitch yourself into — and then out of — trouble. It’s really okay to make it easy on yourself … and on us! Repeat after me: “One, two, three.” Got it? Thanks. Selfish request, mostly, but I thought I’d ask! Oh, and I should probably warn you — the bullpen guys do this “trust fall” thing. Just go with it. They’re a goofy group, and we love them for it. A couple recommendations — find some toasted ravioli when you get to town, followed by Ted Drewes. It might change your life. Then, ask Adam Wainwright about the best barbecue joint in the city. He feels strongly about it, so he might even take you there. But for now, enjoy the offseason preparing to make your stamp on Cardinal Nation. We’re happy you’re here. Previous Post: What about Piscotty?